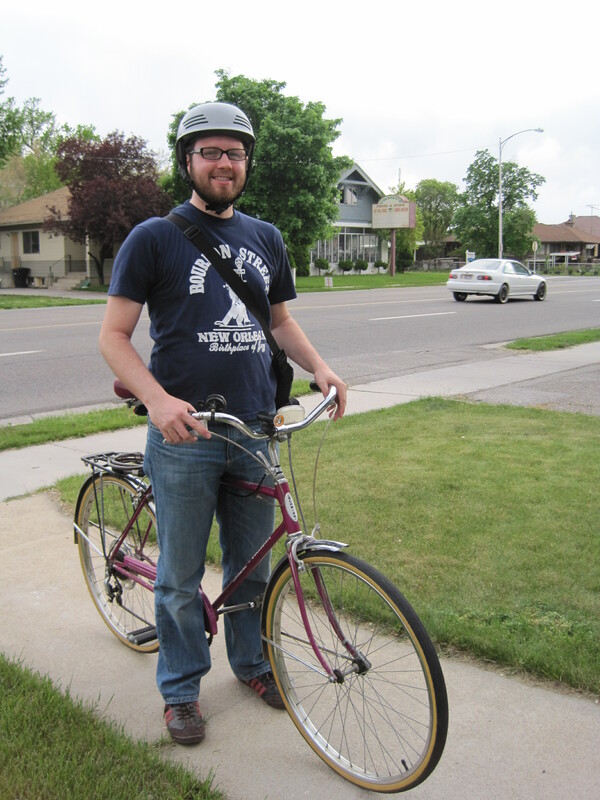 What Do You Love About Cycling in Provo, Graduate Student Tod Robbins? If you’ve been involved in the Provo cycling community, you’ve probably met Tod. Tod Robbins rides a magenta ’73 Schwinn Collegiate with an original speedometer and a brass bell. He has pedaled his vintage ride for over 1,000 miles and often chooses cycling over driving. Although he is leaving for graduate school this summer, Tod has worked tirelessly over the past months to improve bicycle culture and community in Provo. He’s leaving the city better than he found it – hopefully he’ll be surprised at the progress we’ve made when he returns. This entry was posted in What Do You Love About Provo Cycling? by Jamie. Bookmark the permalink.